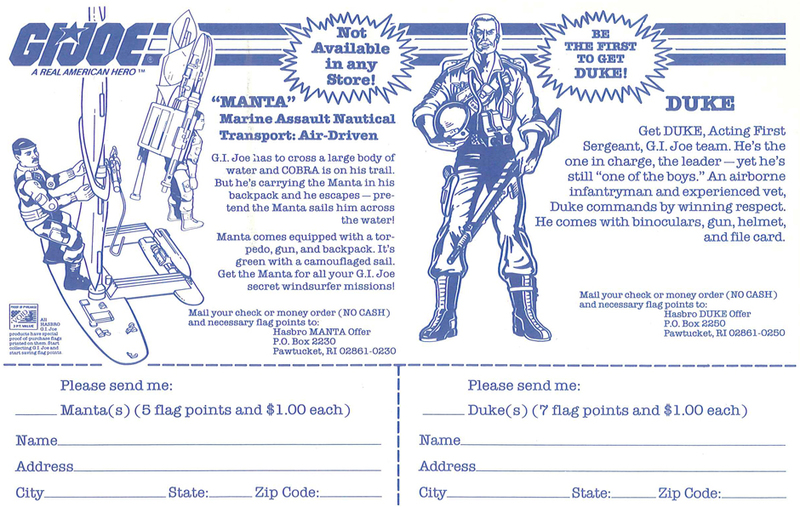 Duke was available as a mail-in offer in 1983. 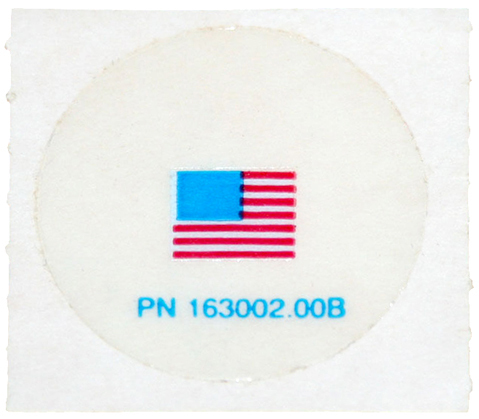 This mail order Duke came with a small American flag sticker (seen below). In 1984, he would be released as a carded figure with part of series 3. Carded Duke did not include the American flag sticker. The mail order Duke had a close up picture on his file card (seen below), while the 1984 carded Duke had a wider shot on his file card. The offer below was inserted with 1983 vehicles.